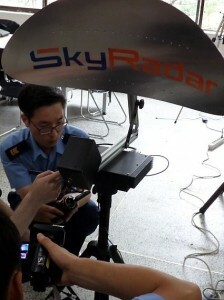 In summer 2014, SkyRadar and Korean Partner Wilko AERO provided a modular radar training system to the Republik of Korea Air Force (ROKAF). 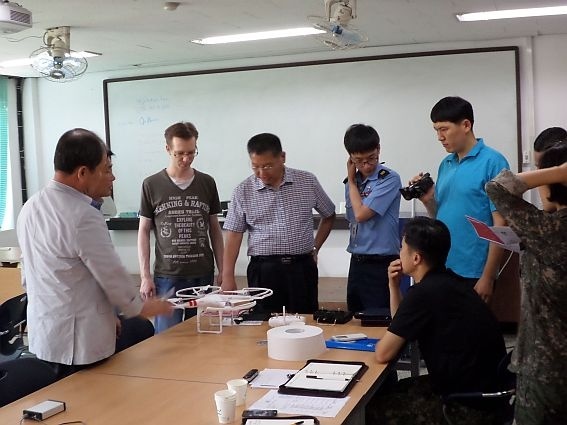 The solution consisted of a typical military oriented setting including MIT, Synthetic Aperture Radar and Security Applications. 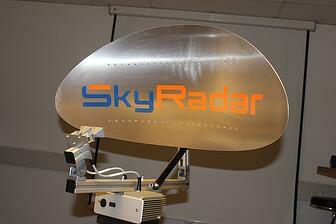 For the first time, SkyRadar had the chance to implement its new Phased Array Beam Controller. It was great to see it in action in the frame of the extended training session by our military radar expert. Together with a field measuring device this tool really helped visualising beam-steering, as done with phased array antennae. We also would like to thank the team at ROKAF. Yes, Korea is known for their highest expectations on quality. This challenged and motivated us. It was our honour to receive a 100% reception of our delivery. The team was great, very professional and warm hearted. With an air force like this, a country must feel in good hands. Thanks also to Wolly and his team from Wilko AERO.